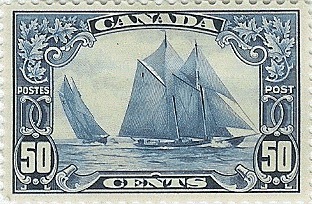 The first meeting of the Penticton and District Stamp Club was held on November 25, 1973. The club was formed with 21 original members, one of whom is still active as of 2018 – Gordon Houston who still serves as our Club Secretary. The first President, Fred Arnot, affiliated the club with the Royal Philatelic Society of Canada (RPSC) and the Okanagan Mainline Philatelic Association (OMPA). Currently the Club has over 35 members the majority of which attend most of our monthly meetings and auctions. Some of our members range as far away as; Edmonton, Kelowna and South Okanagan. Our club offers a conduit for like minded people who enjoy talking and collecting stamps, at the same time being an active and an influential member in our community. The community at large benefits by the sales of donated philatelic material, and funds are subsequently forwarded to designated local charitable organizations. Funds are raised by our monthly club auctions, public auctions, bourses and other activities. Letters to editors of local newspapers and philatelic magazines encourage the public to donate material. Local media supports our activities, by promoting our activities. Many donations are sourced from unwanted material collecting dust and taking up space from individuals who no longer are interested in their stamps or collections, including estate donations. Club members donate excess and unwanted material. Word of mouth and exposure at other venues highlight our organization and activities. Our annual fee charged to members is $15.00 per year. Fees are used to cover costs for hall space and special celebrations in the community. Undertaking the design and production of special Commemorative Picture Postage Stamps.